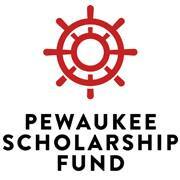 The Pewaukee Scholarship Fund (PSF) requires all voting members of the Board of Directors to have access for review purposes of the IRS Form 990 prior to it being filed with the Internal Revenue Service. The PSF President will submit a draft copy of the form to the Board of Directors at the earlier of either the Board meeting prior to the due date of the return or 30 days before the return is due. Each board member will be given the opportunity to respond in writing or by e-mail to the PSF President asking any questions or objecting to any information presented on the form. In the event that the objection cannot be resolved between the Board Member and the PSF President then the return shall be extended and the subject is included as an agenda item at the next regularly scheduled Board meeting. It shall be deemed sufficient for the PSF President to provide a draft copy to all voting members by e-mail, and requesting that approval is implied by a no response to the e-mail. The President shall provide evidence in the 990 file that this policy has been complied with and copies of all correspondence, questions and objections will be included in the 990 file.